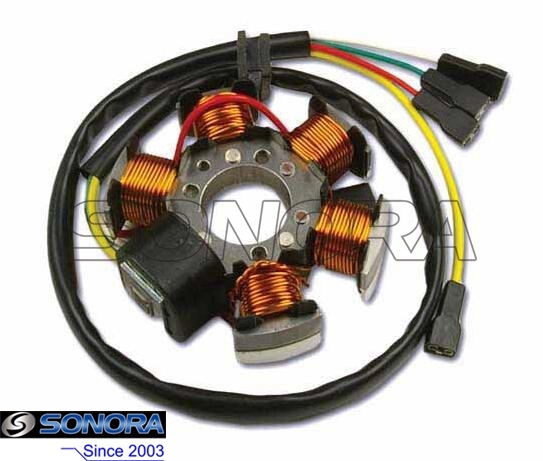 With 4 separate wires and 5 coils, this Aprilia RS50 stator generator is made of quality and pure cooper, so that it has very low magnetic resistance. It's 4 wires version, all wires connect to the wiring loom via female spade connectors. Please check your existing stator before purchase as some models are fitted with a 6 wire stator. Looking for ideal Aprilia RS50 Stator Manufacturer & supplier ? We have a wide selection at great prices to help you get creative. All the Aprilia RS50 Generator are quality guaranteed. We are China Origin Factory of Aprilia AF1 50 Generator. If you have any question, please feel free to contact us.